Are you interested in getting more involved in FMA? Are you interested in event planning and want to give back to the finance area? If you answered yes to both, this is your opportunity! We are currently accepting applications for the Night of Finance committee. FMA is going to hold its third annual Night of Finance during spring quarter. This is an event where FMA elegantly celebrates the accomplishments of the club, the finance area as a whole, and awards scholarships. This is a perfect opportunity to gain some valuable leadership and planning experience. 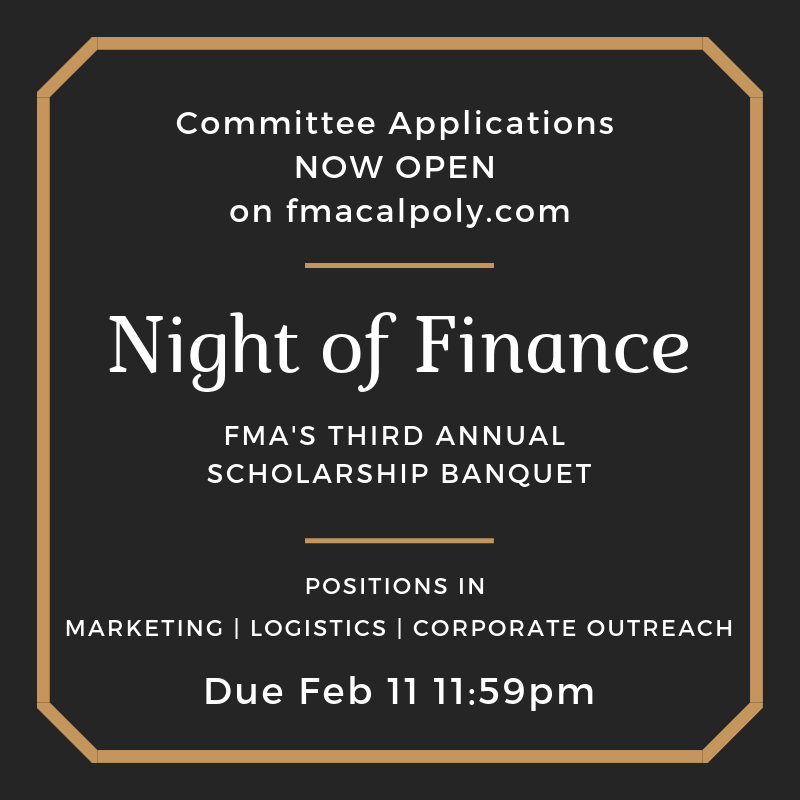 If you are interested in getting involved in the committee, please fill out the application THROUGH THIS LINK by Sunday, February 10th, 2019 at 11:59PM.If you have any questions, please email vice.president@fmacalpoly.com.